Certified Since: Securly’s Web Filtering product was certified in June 2016. Securly’s new product, Parent Portal is in the certification process. 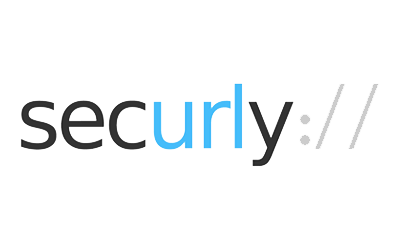 Background: Securly began searching for a third-party solution for their data privacy compliance early on in the development process of their web-filtering product. Because the co-founders had been in the internet security industry, and the home office was in Silicon Valley, they knew the importance of compliance with California’s data privacy regulations, which are some of the most stringent in the country. Purchasing Decision: In doing their due diligence as a web filtering company working with student data, the Securly team wanted a solution that let their clients know that they were taking every step in ensuring their data collection processes were safe for schools. Because iKeepSafe offered a California Student Privacy Certification (CSPC), as well as a Family Educational Rights and Privacy Act Certification (FERPA), it was easily the best fit for the Securly organization. Reputation: Securly’s initial customer base began in California, where iKeepSafe is well known by educators and schools due to their CSPC assessment. It is this reputation that made iKeepSafe the clear choice in purchasing a third-party data privacy certification. Return on Investment: The investment in an iKeepSafe FERPA and CSPC third-party data privacy assessments is an invaluable customer facing asset. When education clients ask if Securly is safe for students to use, Securly can quickly and easily provide proof that all FERPA and California privacy regulations are being followed. Value: iKeepSafe provides continuous data compliance consultancy to Securly. As new products features are developed, and laws and regulations change, the iKeepSafe and Securly team are in constant contact. iKeepSafe makes it easy to make any necessary changes by providing concise instructions. Peace of Mind & Trust: Because of the continued trust in the iKeepSafe assessment process, Securly can give their education clients peace of mind that their product is meeting all FERPA and California data privacy requirements. An iKeepSafe badge shows, from an outside source, that Securly is taking all the steps to ensure they’re good stewards of data, following industry standards, and complying with the law. As we were doing our due diligence as a web filtering company that works with student data, we looked into what was out there that would let customers know that Securly was following best practices and laws. Our co-founders had worked in the internet security industry and had a lot of knowledge about keeping data safe and private. We were looking for a way to demonstrate that a third-party had reviewed our product and ensured that we had taken all necessary steps. Our home office is located in Silicon Valley, so we were first interested in a California third-party certification. iKeepSafe’s name kept bubbling to the surface as the “gold standard”, which made choosing to work with them an easy decision. How do iKeepSafe Privacy Certification Badges provide value to your company? Honestly, iKeepSafe’s certifications are invaluable. I am in the sales office in Charlotte, North Carolina where our Student Safety team is located. I hear our sales executives mention the iKeepSafe badges each day in every sales demonstration and during every webinar. When our sales team sends documentation about our product, they are sure to include the link to the iKeepSafe product page. As the Student Safety Coordinator, I talk to schools all over the country. I tell them, “As a former principal, my district had 20,000 devices. I was on the technology committee where parents voiced their concerns, and most of them were about privacy. The most common questions I get from superintendents and principals are about privacy.” I’m sure to send them the link to iKeepSafe where they can easily pull up the certified product page, scroll down and see Securly’s badges. It is simple and clear to see that our product is certified as safe. Both the initial assessment process for Securly’s web filtering product, and with our new product, Parent Portal have not been overwhelming at all. I coordinate with our CTO and two project managers in engineering who help me to relay coding information back to the iKeepSafe Team. I do quick demos with iKeepSafe to demonstrate the product functions. We then take iKeepSafe’s feedback back to the developers and engineers. Because a combination of our trust in iKeepSafe and the fact that all of the requests are reasonable during the course of assessment, it has been a very smooth process. Are there any other returns on investment have you seen by working with iKeepSafe?